This week I had the opportunity to fly with the birds! If you’ve been reading my blogs, you know that I’ve been going on adventures every weekend. I’ve traveled around the country in my two months here, exploring culture, hiking terrain and finding myself. But this whole trip, I’ve been saving the best adventure for last! 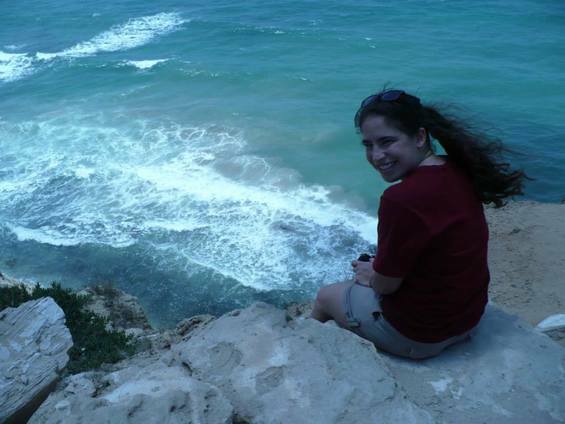 I found myself just a bit south of Netanya on a quiet, sandy cliff. Looking down I saw beautiful beaches stretching from the skyline of Tel Aviv to the view of Netanya. The water looked so clear and blue against the bright sky and tan sand. I wasn’t just going to look at the view from the cliff though, I had to get a better perspective. I was there to go paragliding. 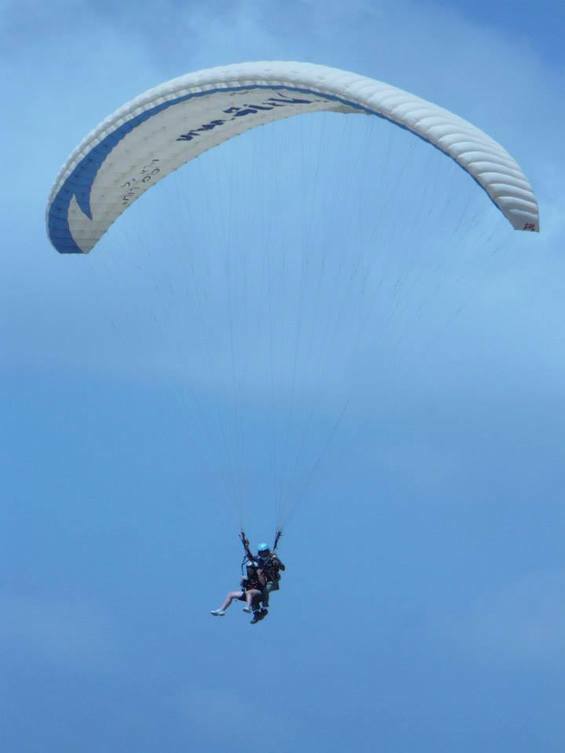 Tandem paragliding is when you and your instructor are attached to a parachute and fly through the wind. We went up and down the cliffs, seeing some ancient ruins and the beautiful beaches. You have a new perspective on everything when you are in the air. The cliffs look gorgeous and your friends on the ground so small! It was a magical experience, and I had a grin stuck on my face for the rest of the day. To finish my adventures this weekend, I went to the beach a lot. On the way home from paragliding, we went to the beach in Netanya. It was absolutely beautiful, the water was spectacular, and I got some lovely sleep (as I do on most beaches). 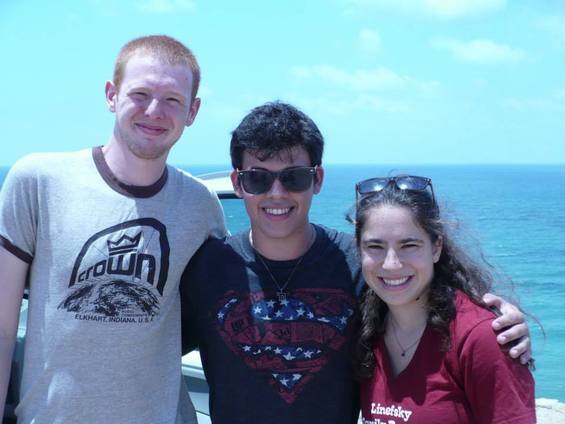 I also had the opportunity to go to the beach in Haifa…twice. Hof Hacarmel (one of the main beaches in Haifa) has become a second Haifa home. Whether it was on the weekend or on my way home from work, I spent a lot of time there. We fought the jellyfish, although I still have a mark on my neck from at least 4 weeks ago, and enjoyed the sun. The beach is so accessible, that it made going to the beach a very regular activity. I had bonding time with many members of the group and some quality sunsets there. 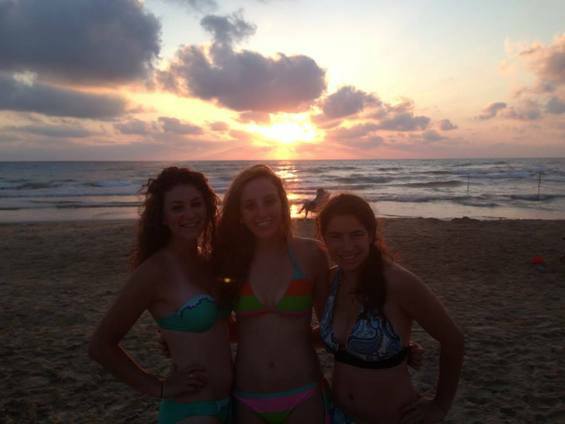 The beach definitely added a lot to my Haifa summer experience.